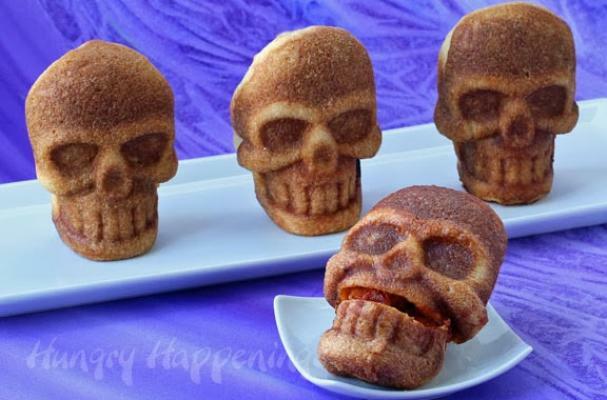 Stuffed skull pizzas from Hungry Happenings are a haunting Halloween dish. Pre-made pizza dough is filled with marinara sauce, cheese and mini pepperoni and baked in a 3-D skull cake pan. You can use your favorite pizza toppings for this recipe, olives and Italian sausage would be especially tasty. This is a quick and easy meal that the kids will absolutely love.